Please, if you have anything to add, share away! I am hoping I can get some more "experienced" members more involved in some active experimentation again. I find that many of them have kind of "petered" out over the years. I think the way to get them back in, is to once again create that "new person passion" and enthusiasm that they/we all once experienced. I've got Monroe's Gateway Experience Wave I - Discovery CD and haven't listened to it in years. Also got a few of Dr Jeffrey Thompson's gamma/theta meditation CDs that someone gave me a while back. Whenever I regularly listen to these, I tend to go on little jaunts/adventures and your ideas of doorways and the like will give me something to focus on. Am sure I'll be adding my experiences probably in another section (is there a meditation section?) so as not to clog up your thread. I've just ordered a CD walkman so I can lie in bed of an afternoon with my big Sony headphones on and drift away without disturbing anyone else in the house. I'd be interested in joining future experiments at some point once I get back into the hang of regular daily adventures. Excellent. These kinds of "re-fresher courses" are great. Taking a walk down memory lane always feels good. Sometimes that's what we need to once again "kickstart" everything into motion. My big purchase in the beginning was a Program called "Explorations Beyond the Body" by Steve G. Jones. I know what many people think of him and I don't care. I got what I needed at the time from his info and yes it was costly (pricey), but I saw the actual ordering and paying of his program to be a deeper commitment to me personally. I knew myself and knew that I am very "frugal" when it comes to spending money. Materialism has never been a part of me. So, I knew what that purchase meant to me and that was a great aid in creating the patience, practice times and determination needed to be successful here. That and the fact that my first " conscious" experience was "AWESOME". About 6 years back I bought a set of Bose noise cancelling headphones just for my Binaural Beats/Isochronic Tones and any other Astral related CDs. That was one of the best purchases I have made towards this practice. That and my "Laxman" light/sound machine. But unfortunately my Trigeminal Neuralgia does not permit my Laxman anymore. I used to have some great experiences while using it. But in the end, we tend to lose and kind of outgrow the "need" for those tools. I won't give up my Headphones or my earplugs, (for sleeping at night). I like those "inner voices" to come through loud and clear, lol! When you are ready, just say the word. I am currently working on some interesting experiments that we could all try, once I see a interest shown by others here. These are more based on "group" work. That is the only way to find out if something can be applicable in mass or not. Those Demon hunters get groups together with the same focus in mind. Like I said, they really have really strong wills and great focus abilities. I'm not into the Demon hunting though. I would rather help with Retrievals. Although, many times in a Retrieval, you are entering into that person's or entity's personal hell. My goal right now is to learn how to program Bob's main Focus level locales into some kind of "directionally" applied map. Whereas, a focus on one of the 6 pts, will immediately take you to one of those "programmed" destinations. After awhile we could change the destination of a point to whatever new goal/focus we wished it to be. But we would doing this as a group of people. Not necessarily synchronized. I can only write down what I experience. I don't have another person yet, that is attempting the same thing, to compare my findings with. That's why I say, "the more the merrier". In the past, I received PMs here from people that had success with 6 pt. focus. I am also now instructing the 7 (yes, 7. I lost one more:( )people I have left that I have been helping, to do this as well. On top of that I have recently received some PMs here and some interest from people on other AP related Forums too. Add to that my "Guides" seems to be pushing me this way. So, I feel we are really on to something here. There is likely some interest and curiosity coming from others here that are as of yet, still in the shadows. Because of that, I wish to change my total focus to teaching the 6pt focus again. We will begin very basic. First I want to reiterate this warning once again. Please, do not attempt this if you are suffering from any kind of "Clinical Mental Disorder". The first thing you need to do is to get to point where you can feel a pull from the direction you are focusing on. While in my daily Phase/soak session today, I played around with getting the "etheric tug o war" going. I found that some of the directions seemed to respond then others. Ex. a focus on front, then back, seemed to come stronger then left/right did. So, I stayed with just the simple up/down for a couple of minutes. I then was kind of telepathically told to work on different ways to get the "ping ponging" action going strong. I then began "ping ponging" my focus back and forth quickly and that seemed to work, but not necessarily strong enough for me. So, I thought more about it and the idea came to add counting up numbers to do this. This worked great. The counting coordinated great with the ping pong focus. So, to do this, just simply become aware of the point you are focusing on. Now go to the opposite direct. Ex. up/down. Ping pong a bit until you start to actually feel something. At first, your physical body will react to just the thought of your focus. Your brain/interface, will always send a signal to create that physical impulse. With further practice and repetition, you will learn how to shut that impulse off, while continuing your "etheric tactile" focus. Now, add the "mental" counting. Every number coordinates to either direction. Ex. 1 up 2 down 3 up 4 down and so forth. If you slow your counting, you also strengthen the pulling sensation. But just start with counting regularly for now. We need to walk before we can run. The thing I seem to be hearing from people is that they don't have the "time" to do this. This is not a lengthy time consuming practice. It's the repetition that creates the mental conditioning. Take 2-5 minutes, 3 times a day, morning, noon and night. If you wake up to a alarm clock, use the "snooze" setting as your duration for a 2-5 minute practice session. At work, around noon, close your eyes and take 2-5 minutes to do some simple "etheric ping ponging" . Before you go to sleep at night, do 2-5 minutes of etheric ping ponging. There now you have 3 simple non time consuming sessions that anyone can do. If you attempt a session while standing, make sure there is nothing dangerous in your immediate vicinity. This process can bring on a very strong feeling of vertigo. This is a good start for anyone that wishes to attempt this. Just remember, it's the repetition. that is important here. Put an honest effort into this. You get out practice, what you put into it. If you are serious about this new quest, you will find success. Practice this for this week week and next week I will add some more to instructions to take this deeper. Till then, just get used to the etheric tactile ping ponging/virtual tug o war. I have been told that there is definitely"gold at the end of this Rainbow" and that this process is going to evolve into something awesome. Come along for the ride! Feel free to ask any questions you may have or share your experiences here. Yes, The Gateway Experience was a 'big' purchase for me - it wasn't cheap. But, like you say, it was telling myself that I was serious about 'all this'. Interestingly I've never had an OBE from the CDs, but I've had a lot of lovely experiences/experiments with imagination, including plenty of spacewalks - way cool. I haven't heard of Steve Jones - shall I look him up or not bother, lol. Is your first experience here at the Pulse? I'd like to read it if you can find a link. I'm going to have a go at mental ping-pong this week - sounds fun. Don't bother. His info was good when I needed it. You are wayyy past that. The only thing of his I still use is his Binaural Beat MP3 that came with the program. it is one of the best I have ever used. It's funny they gave me a duplicate program to give to someone that wanted to use it too. I tried to give it away free to my friends that showed a bit of interest. But no one wanted it. That pretty well showed me that there "interest", was just a kind way of "humoring me". This is one of my first under my old name Lionheart here. I had officially joined sometime in 2011. But because my name Lionheart is no longer valid here, it took me awhile of going back in the Astral Pulse "abyss" to find any of my earlier posts. I thought I had a message in the "Member's Forum" as well. But I couldn't find it. My post on Oct 9th 2012 pretty well explains my "NP" awakening. It's kind of strange preparing for bed like that. I do my nightly ritual/mental intents, put my Sleep Mask on, insert the earplugs and I am off. No interruptions, until MJ squirms, which she does often, lol. My best LDs come when she has already gotten up out of bed to start the day. I go to sleep very late. Most nights around 2-4 am. I am a "night owl". I love the darkness, 3D or not! It's funny how once in awhile the "ping pong" motion I am creating, all of a sudden becomes accompanied by the visual of a actual ball ping ponging back and forth. Sometimes with the table as well. Your first experience sounds really intense. Yikes. Well, the mental ping-ponging worked ... albeit not in the way I was expecting (no surprises there then). I'll post it in the dreaming section. Yes, that was a rather intense way of waking someone up! ... albeit not in the way I was expecting (no surprises there then). It never is, lol! I don't "expect" anymore. I just experience! My first intended consciously aware experience came after using the "candle staring" technique. I sat down and watched the flame for about 15 minutes. I then blew it out, closed my eyes and saw the imprint in my "screen" there. It faded after about 10 seconds. So I brought it back. That game of fade in/fade out went on for awhile until I noticed a vibration. There was also a strange sound like wind. It didn't take long until I felt I was in a actual Earthquake and the sound was so loud I could swear of Helicopter was landing on my roof, lol. I was hooked though! I couldn't wait to do it again! It was scary, but awesome at the same time. This morning I awoke, used the bathroom then went back to bed. I laid down on my back, which I rarely do (I am a side and stomach sleeper). I then preformed a "mental ping-ponging" motion. targeting left and right. The ping ponging tactile feeling morphed into more of a full body rotation. I wanted to say here, that if your simple ping ponging tactile technique turns into any other kind of "tactile" feeling, go with that new feeling. Do not change it. Only start again with the ping ponging if you lose the feeling period. I accompanied it with counting to 200. Once I hit 200, I turned onto my side to sleep some more. Almost immediately I become aware of a strong warping forward. There was no climbing out of the body and I didn't feel any vibrations either. When my sight kicked in I saw I was flying into some kind of city. People were walking around and I went up to the first one that I saw there, a man and asked "Do you know where MJ is?". He said no. I thought about that and wondered why I asked that. I then went around talking to and asking other people questions. Some answered, some didn't. After awhile of checking out the City and talking to the locals there, I went into a Café/Coffee Shop, sat down and just observed everyone around me. A young lady, probably 18-20 years of age came up, sat beside me and began rubbing on me. I looked at her and asked "Why are you doing that". She looked at me and said "to help you become more aware". It definitely did that, lol. Before that my awareness seemed to be fading. Sometimes when deep in a experience you will find that your awareness will fade quickly. That's because you have totally succumbed to or became a part of the scenario at hand. You need to keep a balance between knowing your asleep/consciously projecting right now or while "there", without totally becoming a part of scenario at hand. When you do learn to balance the 2 of them, you will find yourself in much longer experiences as well. At least consciously aware that is. This was much different then my usual LDs. I knew right away it was a OBE. In my LDs, I become aware in the middle of a full blown scenario that is in full blossom. I also see it first from a 3rd person point of view. In this recent experience I was in 1st person mode all the way. The thing that makes me classify it as a OBE is that I became aware of a actual exit from my physical body. In LDs I don't. Mind you they are all still "non physical/local states of consciousness" though. That's my way of defining whether it was a OBE or not. LDs are more like Phase session. The difference being you are completely consciously aware in a Phase session from beginning to end, just like a OBE. But a Phase session for me is not "normally" accompanied by any actual "exit symptoms". Once in awhile I do get exit symptoms while Phasing though. On another note. Recently a good friend of mine asked me why this is important to people and to me as well. I said because I have been shown that learning this will aid with coming changes. One of those changes being our/your own "final" transition from here to there (physical death). When that time comes, while others stand in line asleep, you will be fully awake and aware! If you are new to this Forum, try the 6 pt focus technique. I will guarantee that just the simple "ping ponging" of directions, which by the way can be done anytime almost anywhere, will indeed lead to some kind of experience for you. This doesn't take years of practice to achieve. Something will happen and maybe that initial sneak peek into something out of your current mindset with create enough curiosity to be asking for more. Use a journal to log your progress. Journal after every session. That way, you can follow your progress with this practice in general. Today I wish to focus more on the "enhancing" of the pull. But first I just wanted to add another thing that I found was important in this practice. That is time or place. Yes, using the same time schedule, which can be difficult because of life itself or using a place or special chair etc., will also help with the mental conditioning. William Buhlman, a famous Astral Projection Author, states that he uses his couch for his practice and that his consciousness is so used to it, that sitting on it period anytime begins the "shifting" process itself. A good friend of mine on another Forum, brought up the idea of her purchasing a "bean bag" chair just for this practice itself. Being the entire practice in general, not just the 6 pt focus. When I was first new to this I had to learn lessons the hard way, as do most of us. I would hear you should do this or that and totally ignore it thinking it's unnecessary. One of those lessons occurred while ignoring the "never try to AP in bed". After my initial OBE that came following a "Candle burning" technique, instead of using a chair, I started practicing in bed. The problem wasn't me going to sleep while attempting the "Mind Awake/Body Asleep" focus, it was with now trying to go sleep in bed at all. Somehow, I ruined my inner programming that we all have that says "Bed is for sleeping". When I laid down to go sleep, I automatically began Phasing and sometimes it lasted for hours. I couldn't turn it off. So, be careful what you wish for, lol. I did get passed that stage. It took finding a happy balance between the 2 of them. But it caused many sleepless nights just the same. Getting back to the mind awake/body asleep technique. This is one of the most used techniques that is mentioned and still used today, by many of the famous Authors of Astral Projection. In it, you basically stay aware while allowing your body to fall asleep. This can be a very time consuming practice. When I first began using it, it took anywhere from 45 minutes to an hour and half to hit that mark. This 6 pt focus that I am sharing here, if anything, will consume all that time doing something fun and adventurous, instead of just staring into the darkness and waiting and waiting and waiting. To begin with we are going to work on some tricks to kick start the feeling of motion into gear. This first part will serve two purposes. First, it will exercise and kind of loosen up your muscles, thus helping you to relax. The second thing it will help with, is making the last thing before you close your eyes a tactile sensation itself. So, stand up. Give yourself about 6 feet clearing all around you. Now with your eyes open. Walk forward 3 feet, then backwards 6 feet. Walk forward 6 ft, then backwards 6 ft. Feel the sensation, ending back in the middle where you started again. Once in the middle (without turning your body), you are going to move 3 feet to the left and then 6 feet to the right, then 6 ft to the left, 6 ft right for 3 cycles, finally returning to the middle again. Now do the same process with your eyes closed. When you are finished, open them and we go to step 2. Put your hands on your hip and bend forward, then bend backwards for 3 cycles, finally ending straight up again. Now do the same with left and right, for 3 cycles. Lastly, reach up, extending your toes as high as you can, then crouch down as far as you can, for 3 cycles. Repeat that with your eyes closed, then sit down, lay down whatever you prefer. Now, if you actually did this entire exercise, you are confirming and committing on a deeper level your intent and your consciousness has received that message. That is what ritual is all about. A gauge of your intent. How bad do you want this? Close your eyes and begin a bit of ping ponging of for a minute or two. Feel the tug o war. Feel the uniqueness of each direction. We are going to slow the speed down on the ping ponging now and we are going to synchronize it with our breathing. The synchronizing with the breathing is very good to enhance the strength of the pull and overall tactile sensation of each direction. Start with your focus on the up/down, a breathe in breath will be rising/up, a breathe down a falling/floating down feeling. Do this for 3 cycles. Next we move to the frontwards and backwards and do the same thing for 3 cycles. Breathe in, in this case is backwards. Breathe out is forwards. Next do it to left/right. I am left handed so I usually do breathe into the left, right is out. But that doesn't really matter here. You can choose whatever one feels comfortable to you. Slowing down the breath will enhance the tactile sensation. By now the feeling of motion should be going strong. Now we go even further. This is where it gets fun. We will begin with associating the direction with common things we already experience in this life. Front, will be some kind of driving, flying simulation. You could use the visual of driving a vehicle. This is something common to most of today. See the road ahead and follow where it leads or fly overtop of the trees, waters, buildings, whatever you can visualize works. Now that "etheric" tactile sensation should be really good. A Roller coaster ride is very good with the forward tactile focus as well. I find it generally harder to prolong though because a Rollercoaster ride is normally very short. But it is extremely intense. So does the visual of a spinning vortex or portal. A friend of mind on another Forum said she had a hard time with the driving visual because she kept loosing her tactile focus to focusing more on the poles, trees and homes that she was passing by. I figure that's a good thing. It shows how deep her focus was to the scene she had created as it was. In that case I say, abort the 6 pt focus and follow where "this" new occurrence is leading you. After all, a focus outside of you physical body is what we are trying to achieve. Other people have reported to me that the had a hard time with it also because they would getting "swayed" into something else. Not one of them said they had problems with the motion or visuals themselves. Their problems occurred while already visualizing itself. When I first got into this practice I was met by a "Guide". That guide came in the form of my deceased brother in law. He taught me "depth perception" and basically how to navigate the "Otherworlds". He also taught me how important it was to learn to "passively observe" and to learn to "allow". I would be attempting a Phase session and then all of a sudden a Horse or car, plane, rocket etc. would come into my visual screen, but I would always be behind it, watching it. Soon I would end riding it or in it, as of the car, plane. But for some reason my visuals began with some sort of "Pace Car" or vehicle. I don't know it this happens with others here too, but I experienced it myself. Okay, back to the 6 pt enhancing. So, forward was easy. Backwards, do everything from your forward simulation in reverse. Drive in reverse, fly in reverse, go through that spinning vortex backwards. I find it very intense and hard to hold a backwards focus. The tactile feeling is immediate though. Next to up/down. We can use up as climbing, a balloon rising, Rocket simulation, flying, all kinds of things. Elevator ride, there is plenty or visuals that we mentally associate with almost every direction. As I said, backwards seems to be the challenge for me. What goes up must come down. So for down we can use floating down to Earth from your up focus. Moving down the wall. Diving into the water. Going down on a Elevator. Once again this is very easy to associate with. Now to side to side. The best ones I find for this is rolling waves. Swinging in a hammock is good too. Basically any kind of swinging effect would suffice, even a simple visual of a Pendulum swinging side to side to side. Don't worry if you can't see these things or visualize them yet. Just know they are there and sooner then later they will be there. You don't have to do the 6 points/direction every time. I personally like to stick with one direction for a entire session, sometimes many sessions, just to acclimate myself fully into associations with that direction itself. If anytime during my attempts something else begins to occur or take shape, I fully allow the next thing to bloom and I immediately abort my initial 6 pt focus. That is our goal anyways. Like I said above, if anything, this 6 pt technique will totally consume your entire focus, thus giving time for the "shift" to occur itself. Many times you will just find yourself "there" and once there, it's time to explore your new surroundings. Practice this for the next week and I will be back with more. I was all set to post today a request for you (Lumaza) to describe in more detail this "ping ponging" in regards to the 6pt focus. I was a bit lost in how I was suppose to interpret my position and direction at each point - trying to visualize being in that new position. Instead I will just say thank you for the nice write up. It is tricky trying to see myself in the new focus position. I think with your explanation of actually moving physically to the new position and remembering that viewpoint will give a good reference for a newbie. Yodad, the ping ponging is a mental exercise. But it also creates a real tactile feeling. Although that tactical feeling is Etheric, at first it will still create a physical response. Example, Focus on your finger. Now focus on moving your "etheric" finger up or down. You will likely twitch or move your physical one as well. that is a automatic response/stimuli coming from your brain. My exercise help you shut down that automatic physical response while still being able to feel movement, but now it is on a etheric level. The ping ponging feeling occurs from the simple action of focusing on different points across from each other. This creates a etheric pull. Example. up/down, left/right or forward backward. Think of these points as surrounding your body, about a foot away. It doesn't matter where you are practicing this. In bed doesn't mean that by focusing on the point under you that you will find yourself on the floor. In the etheric, the floor isn't there. Just know that. When I first started my practice I became aware of where I was. I would have a hard time because I would think a focus on under would put me under my bed, lol or a focus on the ceiling would leave me up there. But I soon got past that because it was the direction that was important, not the location. Example, when focusing on your moving your etheric finger, you may think, wait a second my hand is on the chair, how can I move it down. That would become a mental obstacle to you. But if you realized that chair wasn't there period, the obstacle is gone. So now it's easy to move your finger down, because it won't hit anything. Change your mindset, you change your reality. When you begin bouncing your focus between 2 opposite directions it does create a "virtual" pull. Part 2 "enhancing" makes that pull stronger and more apparent. I just finished my afternoon Phase session and it was "awesome". I will get to that in a bit. Right now I want to say the message that I was told right of the bat was. "I am being Guided to doing this". I am being taught to teach you". Take that how you wish. I don't believe in coincidences, never have. I believe if you are reading this there is a good reason for that, just like the reason I am writing all of this is. After my first OBE, I soon felt motion again and found myself somewhere else again. Not much recall on this one though. I think there was a lesson to it though and that I will share in a minute. So, back to today's Phase session. I laid back in the water and began some simple ping ponging. This is when the message came about being Guided. I listened and was also told that I need to get a bit more specific on body positions. I wasn't told in plain words, the messages come through more as very strong thoughts and impulses. They immediately consume my entire thought process. Once I have received one, I can continue back to what I was doing before, that being my "ping pong" directional focus. I immediately noticed something that could confuse people. When standing, front and back is simply in front of you and behind you. So the motion moving forwards or backwards is easy to get. Up and down is now rising and falling, but you are rising above your head and falling below your feet. Right/left is simply to the left or to the right of you. But, lying down, it will change and confuse you. Forward and backward is now in front of your feet and above your head. Up/down is still rising and falling, but now you are rising above your stomach and falling under it. Left/right stays the same. This is very important to say because it may cause you to "overthink" things. Even though forward is in front of your feet, your accompanying visual is still the motion of moving forward. Example: racing forward on Rollercoaster. In my Phase session today I explored the "Pace/Pilot car" scenario a bit more. I began with the forward/backwards. I found that for this session forward seemed to feel right. So I stayed with that. I messed around with a Rollercoaster visual, then some driving, using a "pace/pilot car" about 10 feet in front of me. For some reason I decided to change it to skiing. So I had a guy ski in front of me (pace car) and it was very cool. The snow was flying, it was beautiful. He was taking sharp curves and then all of a sudden he hit a "mogul". I felt the bump. He then hit another one and another one. He then hit a huge one that sent him flying. So I did too. That was awesome. I then changed it over to a Motorcycle scenario. Again there was the speed, the curves etc., but this time he hit a actual ramp and once again, the flying occurred. This immediately reminded me back to when I was new myself to conscious shifting. I was listening to a tape program by Steve G. Jones that used the mental visual and feel of moon walking, whereas there is 0 gravity. At first you begin with a simple step. Then another and another. but the step takes longer and you seem to move quite a bit further, because of the 0 gravity. Soon you take a bit of a leap and that feels great, so much so that you take a huge jump and find yourself floating or flying in that area. By now, if you stayed with the visual and in that scenario long enough, you have already encountered your conscious shift. Just don't think back to your physical body or your session will immediately cease. This is when you create a intent or go to your Happy Place and go explore. My OBE last night helped me because I experienced the forward motion as being in front of my feet. When you visualize forward, you don't need to see your feet though, lol. I was just showed the importance in relaying this message to people. Lesson 3 today is based on "Charting". By now, if you have put the effort into this, you should be able to just see a corresponding visual accompany the simple mental thought of each of the 6 pts. For charting. Take a full blank piece of paper and line the names/directions of the six points evenly down the page. One under another. We want to separate them because we are going to be logging our mental destinations each day under each direction header. What we are looking for is mental associations that you frequent with just the thought of said direction. Examples, when I think of the right point, it is followed immediately with the image of a ship leaning to the right. But when I think of the left point, the accompanying visual seems to be of a Motorcycle leaning that way. Not everyday though. Because I am logging my results I can see that it is frequent enough, thus a pattern is created. These are all spontaneous mental associations though. During that session I didn't jump start the visual, only the motion of that direction. So begin with some simple "ping ponging" for a minute or two. Then we are going to synchronize our breathing into the directional points. Example breathe in is up, breathe down is down and so on for each direction. Don't try to visualize anything. But if any mental associated imagery appears, remember it because that will be first Charted point. Now slow down your breathing, draw it out for each point. This really intensifies the mental trigger and normally will aid I creating a visual, if you haven't already had one. Do that for a week. It takes awhile to find continued patterns. At the end of my session a couple of days ago I asked "Are you sure everyone is ready to see and experience this? The answer was fast and simple. Those that are reading this right now are ready to see it, that's why they are reading it now". What was really cool was instead of it being just a mental message. A somewhat Humanoid shape actually showed came in to view as well. All I could see was the outline of whoever it was. The next immediate visual that I had was that I was in the center of a room full of doors. There were probably hundreds of them there They were completely surrounding me. I then thought, cool, this is going to lead back to my initial "Doorway tech" that I started in the beginning of this thread. But instead of being a beginner step, this time around it's going to be much more adventurous. It's going to go much deeper. We are not only going to see where those doorways lead, we are going to actually program new destinations for them as well. This will in the end teach you to open your awareness completely to a new reality and new abilities that already lie within. Just thought I would share that I was able to experience the vibration stage for the first time 2 days ago. I've been attempting the FILD technique with no success getting lucid. I went to bed usual time around 10pm and around 2-3am woke up and started tossing and turning trying to fall back asleep. I then decided to prop myself up a little higher with 2 pillows to make it feel less like I was lying down and within seconds I immediately went into vibrations. My heart rate increased a little but otherwise I tried to just let go and let it do whatever. I got a little disoriented because it felt as if my body was spinning a bit. Last thing I remember (I think) was hearing music like from a jack-in-the-box toy but not that song. Lasted probably less than a minute then faded away. I sort of expected images and maybe a dream to form but nothing really formed. I did a reality check and I was not in a dream. Very fun little experience. I tried to do it again last night but it did not happen. I have been away from this Forum for awhile. I have been teaching and experiencing so much more these days. First I want to say that my technique was getting a bit deep for people. Yes it worked, but it led to many experiences that the people doing it couldn't comprehend. So, I want to slow it down a bit and answer some FAQ's that I have received via email and PMs here and on other Forums. Once you have been doing the directional focus for awhile, you will find that it takes about 5 minutes until you find that you art "primed" for your "travel" of sorts. I have found from others that they have more favorable results using a focus of moving in reverse and also using the "Pace Car" visual. A focus on moving in reverse is quite intense. You could look at it a the further in reverse that you go, the more you are moving away from your physical focus. It feels like that too. It gets extremely dark for awhile. You can feel the movement, but once in awhile, it may be joined with a visual of moving backwards down a hallway, vortex, tunnel and keeping with that focus will soon lead to "other". The "Pace Car" visual can be as simple as watching a car, plane, rocket, horse, whatever you choose moving in front of you. Stay on their tale and soon you will feel the motion going along with the visual. That leads to the first question. What do I do when I see something. Do I watch it, see through it, or just change my intent to something else? My answer : All of the above. If you are "seeing" something, then you are having success already. If you stay with the visual it will morph in something anew. If you decide to see through it, something new will appear. If you want to change your intent to something completely different that you will experience that too. At this point your focus on this physical realm is likely pretty well gone. You are at the point that "Hypnogogic Imagery" is appearing, which is a "signpost" that you are doing the right thing. Next question. It keeps fading, what do I do then? Answer: You will/bring it back into focus or just wait until something else appears. Question of is it just my imagination? Answer: It begins as your imagination. Example, I start a simple focus on shooting a basketball into the darkness before my eyes. I don't look for the basketball in my hands, because it's already there (thought=action). Pretty soon a hoop shows up. Then after awhile of just shooting the basketball over and over, I decide to do a "lay up". Now I feel the motion of that movement. I go back to just shooting the ball from the 3 pt line now and all of sudden a image returns the ball to me. Pretty soon there is game with a crowd to boot. All I did was jump start the process by simple shooting a basketball into the dark. From there I had no expectations. What occurred was spontaneous. I just locked onto the scenario at hand and never thought about my physical body at all. In other words, I completely changed my focus from here to there. Soon the scene began to morph and I just stayed with it. Back to is this being all imagination. I have had some incredible experiences with "Phasing", well before I began my "Doorway" technique here. Years ago my better half (MJ) and I , were going to open a store in a mall at Christmas. We had a Kiosk or store in the same mall at Christmas for over 10 years now. But only for the Christmas Season, November/December. We signed the contract for the store location, got the okay, then began working on our store design and what we would be selling there. MJ and I were both excited. We had a Kiosk the past couple of years and didn't like Kiosks anymore. A store was much better. About a week later I sat down to do a Phase session. This is before they were "Phase/soak in the bathtub" sessions, like my previous ones in the posts above. In my Phase session I had seen us at a Kiosk selling a large stone and some weird glass paperweight. This made no sense because we were getting a store location, not a Kiosk in the middle of the hall. It was quite vivid though. I found the stones to be Himalayan Salt Lamps and other weird glass thing to be handmade/blown glass Jellyfish. I learned in the past to trust what I was seeing, so I secretly began to line up suppliers for these items. I informed MJ about my vision and she was not happy with this. Hence the "secretly" lining up suppliers. As the time to go to the mall and open the store quickly approached, I sold MJ on the idea of bringing these 2 items into our store, extra sales. Two days before we were to go to our store to begin working on the layout, the mall called and told us they had made a terrible error. The store location was not in Minnesota, it was Michigan. General Growth Properties owns malls in other states, but for some reason, they us the same Mall name. They said all they could do for us is give us a Kiosk. MJ and I had spent quite awhile making Dragons and getting prepared for a store. Our Dragons don't fit in a Kiosk. But luckily Salt Lamps and Glass Jellyfish do. So it turned out okay. We took a very bad, very expensive error and made something positive out of it. MJ hated it. But we had to do something. That whole story there explains how Phasing actually helped us out of a dire situation. We are just Ma and Pa and we can't take $10,000 dollar losses. Without the Salt Lamps and glass Jellyfish, we would have been out of luck and we would have taken quite a financial blow. So you can see how learning this "Art" can really be beneficial to you. You can learn to heal. You can work on new projects. Learn new skills. There is so much that can be accomplished through "thought = action. But then one day you find "helpers" there or maybe you unknowingly begin to "channel", as I am now. About 3 months back I was doing a Phase/soak session. In this one I saw I was creating beautiful "Wire wrap Trees". I am not a hands on Artist. I can't even draw good, lol. I am a visionary. The Dragons that we sell came from my mind, but MJ is the one that brings them to physical 3d nature. The process from my mind to her hands can sometimes take a few years to achieve. So, I saw these copper wire wrap trees. They were gorgeous. Once I jumped out of the bath, I went online and began researching this process. Much of it I learned from watching videos. I wasn't just seeing the basic wire wrap trees. I was seeing something much more unique. They were mounted on crystals and were to be known as "Crystal Amplifiers". The idea was taking the energy of the crystals, with the copper as the conductor, along with your own intent, to make a very strong device or tool. It seems I had opened some kind of "Akashic record" from a deceased "Wire Artist". It continues to this day. Some form of "Channeling". I then went and bought some cheap crystal shards and began making some practice trees and pieces. Over 2 months I made 15 of them. Each one was based on the new vision during my daily Phase/soak sessions. I soon ran out of supplies and MJ said if I wanted to pursue this further, I had to sell try to sell my trees at our next Renaissance Faire, which would be our last one for the year. We went there and I sold 14 of them. I was amazed, People saw my purpose by just looking at them. It was like they knew my intent. I told a few people that I created them to help them to focus their "positive" thoughts, wished and desire. It was a small show. I figured at best, I would sell one, maybe two of them. But 14, no way. So, I made enough money there to accomplish my real visions. I found top notch quality, known as AAA Crystals. The man and his wife mine them at their mine in Arkansas. Great people. I ordered from them "sight unseen", just by trust and was pleasantly rewarded for that trust. The Crystals are beautiful. The funny thing is, at the previous show I was at, there was a booth selling beautiful Crystals, but a voice inside of me said "Don't buy here". Now I can see why. Here are 2 of my new trees/Crystal Amplifiers. The 3rd image is of my remaining piece from the last show. This was more Dragon related and not even on using copper. When I made my practice trees I used Aluminum wire, it was cheaper. In that design I used a "Fluorite" stone instead of Quartz Crystal. I had run out of Quartz. The first photo is my "Peace Tree". I used over 180 feet of copper wire and leaves took about 8 hours to wrap. The trees are made by twisting a number of wire together to get a "tree" like look. The leaves on the trees are made by twisting tons of loops together to make a leaf life pattern and are very time consuming. The Crystal is beautiful. It is a 4" Crystal cluster of AAA quality. I felt guilty with the Crystals I had used in my practice trees. But they were only practice. Now was the real deal. Both pieces are about 8 inches wide by 8 inches tall. The Crystal clusters are 4 inches wide and are gorgeous. The Peace Tree was to focus on Peace within. Sure it would be nice to have "Worldwide Peace". But as I have found, that starts within. You create that "Peace" within and others around you will soon feel it as well. The Peace symbol is in the middle and beautiful copper wire leaves of the tree are amplifying the "Peace" intent. There is more powerful than a strong focused will and intent. The second tree I call a "Recovery Tree". This one took 170 feet of wire. But it doesn't have all the leaves that the other one did. I made it not necessarily to focus on the "recovery" itself. I made it more to amplify the "growth" that comes through the process of "recovery. It doesn't matter whether the recovery is physically related, mentally or spiritually. Growth is always a very important part of the recovery. The design has part of the tree bent over, as in bent but not broken. Out of the bend comes a grows a healthy tree. But it is a different kind of tree. This one is "Bonsai" tree design. The Bonsai represents "Spirit" in Japan. What I was trying to show, was the "new growth" that was being experienced during the recovery process. The old portion of the tree, sick part was wilting away, while an entirely new healthy spirit was arising. The other pictures have some of our customers wearing a "Dragon wearable", we call them "Dragnets", which is something I saw in a vision a few years back. We use rare earth magnets with a receiver to mount it on the person's clothing, hat, etc. They can them adorn their fridge, lampshade, curtain, etc. with the Dragnet. The wings of the Dragon are made of a good quality leather/lamb skin and are adjustable as well. The Crystal Prisms and other Crystal work is sand etched, by hand by a good friend of ours in Oklahoma. The Sand Dragon, little red material Dragon is hand made by a good friend of ours in St. Paul, Minnesota. The other Dragons, MJ makes. The big ones take quite awhile to make. The other pictures are our tent at the Renaissance Faires and basic lay out of the booth. MJ and I are standing right next to one of her biggest beautiful pieces. Her Dragons range from 10' - 6Ft. She hand sculpts, hand paints them all. Lastly is MJ working on one of them. She dry brushes each on of them. Dry brushing is a style of painting achieved by using layers of paint to create a overall look of depth to the Art. The reason I am finally sharing all this with you is that I see people that come here and put a few hours, days or weeks into this practice, then drop it cold when they don't get favorable results or can't appease their expectations. I wanted to show you some of the possible rewards that can come along with all of the practice, patience and perseverance that it takes to not only succeed once or twice, but to actually make this a welcomed part of your daily life. I can show you how to get to that point, but what happens then is between you and "other". At the moment I seem to have opened some kind of channel to some deceased "Wire Artist". Every time I work with the wire, I have all kinds of "happy incidents" occur. It's like the wire just knows where to go. Everyday I see new designs in my Phase/soaks and I really enjoy creating these Amplifiers. Years ago I became a "Invisible Helper" over "there", in the other realms. Now I can make a difference here as well. Thank You for listening. I really enjoyed making this post. It feels right! The Crystal Amplifier I am currently working will be known as the "Tree of Love". I have some great ideas floating around in my head for that one. The first thing I do when I finish my daily Phase/soak is, I write down whatever I have been shown. There is so much to remember. Oh, and "trust" plays a very important part in the whole process. Those dragon designs are very cool. Too bad I'm european lol, but I like dragons too. On projection well I think the root cause of fails is mostly coming from the fact that people treat this "life" as a religion, which is cool until an extent and people's enthusiam just wears off soon because they just don't have enough will power and aims, or just life purpose to experience that they are much more than their alter ego here and now. Everything is a belief system, therefore religion and people I guess have big expectations from that crapload which they tend to read through the web, what is the NP and what is it for etc. I guess a fair percentage of humans are only ready for experience the wider reality while they live their physical life and I admit it could be very hard when you (me) experience 4-5 non-physical experiences through your sleep only (not speaking about conscious projection yet) and keep your diary on track as meanwhile living your waking physical life. And I'm not speaking about minutes there, it is hours, long long hours and days, seemingly in physical measurement. Projection attempts and practice is a very dedicated business and if I'm representing myself here and now I know that I'm not so good in conscious attempts because I'm under life stress, a bad family relationship and life situation - I just realized this after 2 years with help. So what I do is try to do whatever takes me on good mood and enjoy myself where and how I can in my daily life. If we have huge pressure on us personally in life, it can ruin the whole practice I guess with only a thought because that excrement goes on and on in the background in our mind. But meanwhile I extract just enough experiences through my sleep that I always have more questions than answers lol, and NP can be way more real than the physical plane. Well my focus improved but not enough strong I guess. I won't write much here because I know too surely that people get on the chance and share their beliefs and viewpoints again and every thread goes on them now since a while, which won't help anybody. Philidan. thank you for your reply and kind words! I agree with what you say. You must be dedicated to this, that's if you wish it to become a regular part/occurrence in your life. I feel the reason people are failing is because they are expecting everything yesterday. Today's World has become a place where everything must happen "now". Last night on Coast to Coast AM, Eben Alexander and his partner Karen Newell were George's guests. Eben was talking about his NDE experience and what he learned through it and how it opened the door to his binaural beat program "Sacred Acoustics". I could tell he was having the same problem that all AP authors and teachers on non physical exploration do and that's that people expect results immediately or they file this as a bunch of garbage. He spoke of how repetition is a form of Brain Entrainment in itself and how important that is to the entire process. Many people that have used my Doorway technique, have gotten back to me with some favorable response. The 7 people I was teaching before are all off on their own now. It is up to them whether or not they continue what they have been taught. As I have seen, my technique is just a guideline. The people I have taught used it to get to where they are. Then they tailored it to fit something they were more comfortable with. Like I said, the directional focus was only lengthy in the beginning while learning it. Now that that they have repeated it so many times, the disassociation process only takes about 5 minutes to do at the start of a session. It is already "entrained" into their minds. A simple thought on direction immediately creates results. it is immediately followed with either a visual or tactile sensation. Many times both. I just found this great thread by Szaxx, a Moderator here. He reiterates the Importance of practice, practice, practice and where it leads to. I finally got to see your artwork. Wow! You and MJ are very talented. Those dragons are amazing and the crystals and trees are so cool! Wished I lived closer to come and see them in person. Personally, I think you guys should be starting a website and selling them online as well. Back to the topic, I seem to be stuck. I can get to the point where I am seeing imagery but I either snap back to the physical or I fall asleep. Just not sure how to avoid those two scenarios. Other times I will feel rapid movement and for some reason I can’t just go with it. Whenever I get the falling sensation my body jerks back to wakefulness. My last one happened a few nights ago as I was sitting on the sofa listening to a Hemi-Sync title. I felt very rapid movement backwards like the feeling you get if you were riding on a train and sitting so you were looking towards the caboose and watching the landscape go by in reverse. My body just seems to tense up and it’s all over! Hello T-Man, thanks for the kind words! Reading your post, I see your first problem is you are practicing in bed/couch, lying down. For now, try to use a comfortable chair, like a Lazy Boy. All your life you have programmed your mind that bed is for sleep. Hence your going to sleep problem. Snapping back to the physical shows the lack of really letting go. You came to a point in the session, whereas, you took a quick peek at what your physical body was doing. You may think you lost the whole session. But I only see those things as "speedbumps". If you are already relaxed, you can get right back into "depth" very quickly. I have had times where a noise, itch or something has jolted me out of my focus. I just calmly fix the situation and return back to what I was doing. Myself, my way is to create the proper atmosphere, mental focus, then I let back even further and just watch as thing begin to happen. I know when to join the scene because I am already there. I should have added that to my FAQ's above because others have been asking me "when is the right time to enter the scene?". I always say you will know because you will already be "there". Are you consciously focusing on a full body separation or are you using more of a Phasing/Noticing approach. That makes a big difference in the way I should further answer your questions. What's your technique? I just finished my daily Phase/soak in the bathtub session. Before I did though, while reading a PDF of Astral Projection for about an hour, I had Paul Collier's music on in the background. He has some great tracks, today I listened to # 85 "Defragment Your Mind" and #54 "Earth". Both are unique in their own ways. My favorite ones though that really get me primed for exploration are back to back #45 and #46, which are "Facing the Unknown" and "Taken Up Into The Sky". He does have some good Binaural Beats in that playlist too. I enjoy Binaural Beats/Isochronic tones with a musical accompaniment, unlike the mono tones boring ones. Back to my session. I jumped into my bath closed my eyes and began a very quick 6 pt focus. While focusing on forward and feeling like I was moving down a tunnel, the entire imagery quickly changed. I saw a bird in the distance. It got quite vivid really fast. He was flying towards me. He was brightly colored and I figured him to be a small parrot. He then veered to my left and kept flying towards me. Unknowingly, my left eye began to follow his flight. He kept wide to the left, which kind of forced me to strain my left eye. My left eye nerve is the starting point of my Trigeminal Neuralgia. So immediately my left eye nerve tweaked hard. The bird then actually said "Squack, you are still using your eyes, don't do that. I immediately realized the bird was right, but that the bird was also my guide/higher self, whatever label you want to use. I had thought that the priming that Paul Collier's music had done was enough, but I was wrong. It took me about a minute of 6pt focus to think I was deep enough that I wasn't using my physical eyes. It's important to learn to use your "3rd eye/brow eye, mind's eye, whatever you wish to call it when you project. Your guide/higher self is always there. Many times it comes through when you least expect it. Always be open to it though. Be aware of everything. Your higher self knows what's best for you. Take my Trigeminal Neuralgia for instance. It taught me Tibetan Dream Yoga and during a full blown attack, it forces me to close my eyes and relax. Although painful at times, it does have it's perks. I don't take pills for it anymore as well. I have learned to control it without those pills. Mind over matter. Wow, you're alive Lumaza, cool lol. Not sure how much you sold those trees for but I would buy one for sure...the first tree on the green crystal being my fav. Beautiful man. Thanks Yodad! My first trees averaged about $45. My new trees took many hours and a lot of work and will likely be a bit over a $100. The Crystals alone cost me almost $20 each. The wire used about $10 wholesale, for the two of them. The rest is all labor and time. Believe it or not, that Crystal is clear as day. It's not green at all. For some reason, the camera I was using decided it should be! MJ liked the glow, so we kept those pictures. Thanks for your response. I don’t typically use my bed for any practice sessions. On occasion I will lie down on the sofa and listen to a Hemi-sync title but this is usually when I’m tired and just want to relax. Maybe I shouldn’t do that at all. When I do intend to practice I am usually sitting on the sofa and listening to my Hemi-Sync. I don’t have a comfortable chair like a Lazy Boy recliner but it is on my ‘To Buy List’ for this exact purpose. Other than an OBE I had a couple of decades ago I have only experienced one full body separation OBE which happened a year ago and this happened while I was napping on the sofa. I was dreaming I was in the water and it felt like something was grabbing my leg. It was when I realized it was a pillow on the sofa that was touching my leg that I separated from my body. I have never experienced or shall I say been aware of sleep paralysis and this one time is the only time I have ever felt vibrations go thru my body. I know these aren’t necessarily required to haven an OBE. I have never experienced LD’s before until I came to this site last year. Since then I have experienced many of them. So, progress is being made. As for the technique I use while practicing, I have been working on the Phasing/Noticing approach. I have read thru this thread multiple times trying different techniques. I am usually trying some sort of motion technique such as being on a swing, or paddling a canoe. Sometimes I try to imagine myself already out of the body. I will see my body sitting in a chair in the middle of the room and my awareness will be on the outside of the room say 15-20 feet from my body and I will start moving and circling my body in the chair. I will than try to speed that motion up. I have had varied success with the motion techniques. Like I said previously, I get to the imagery but either fall asleep or get snapped back to the Physical. Lately, I have been trying to really open myself up to my community of guidance and to feel the connections to them as well as my intuition. Prior to this I had a Lucid Dream whereby I got to meet about 20 of them at a reception that they held for me. I was amazed at how many people were there. I got to talk to a couple of them but I was told that most did not want to interact with me because it would spoil things for me down the road. Your experience you had with the parrot telling you to stop using your eyes was similar to a very recent dream I had where I was told in my dream and I quote: “…is what shuts down your experiences!’. For the life of me I don’t remember what was said. I guess I am not really listening to my guidance! LOL! It really isn’t hard to fill in the blanks but if there is something in particular I wish I would figure it out. I will keep at the techniques and I will really try to let go. If I hit those speed bumps like snapping back I will continue to just relax and head back from where I came. If I fall asleep than there’s nothing wrong with getting a little extra zzz’s! T-man, the only problem I could see here is that you are attempting 2 different exit techniques at the same time. Phasing in my view, is when you are in the act of "noticing". You are setting the stage by "disassociation" from the body. When I am viewing something like watching the "pace car" scenario for instance, I am following it, but not as a physical form. 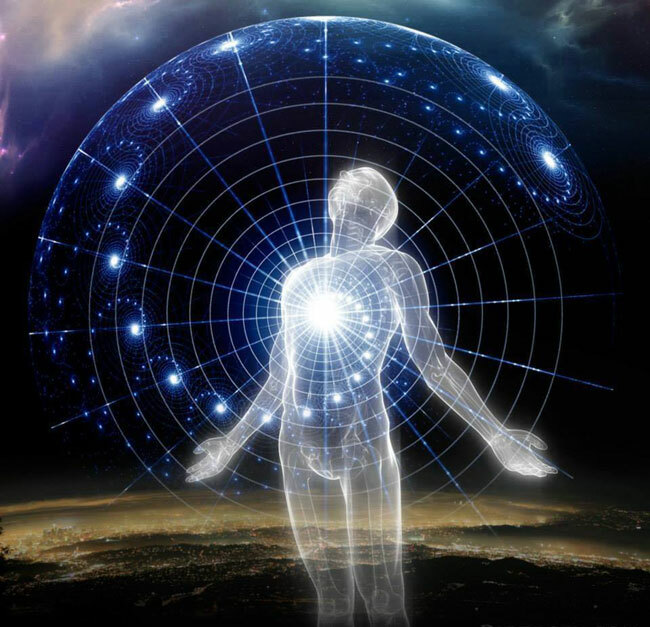 When I Phase, I always think of myself as a point of consciousness and that means there are absolutely no "barriers"
You seem to be focusing on a RTZ (real time zone) actual exit from the body. Which means you are still focused indirectly on your body. Try using one or the other or now. You will lesson the confusion and be able to focus 100% on your chosen technique. I find if you are working on a more of a RTZ style of exit, begin by focusing on your breathing and feeling the expansion and retraction that comes with it. On every breathe magnify the feeling or energy wave of that act. Example inhale/expansion, exhale/retraction. You can get your body feeling pretty large while doing this and sometimes it will just lead to a traditional OBE exit. Stay focused on it throughout though. After you have "exited", you won't even realize your breathing anymore. You won't need it there. But have no fear, your body will automatically take over the job of breathing itself, just as it does each night when you go to sleep. Meditation itself will improve your LDing abilities. Get yourself into a regular cycle of Phasing or having OBEs and you will find your ability to become lucid in your Dreams will improve exponentially. Even a failed Phase/OBE session has calmed your mind and opened your awareness that much further.